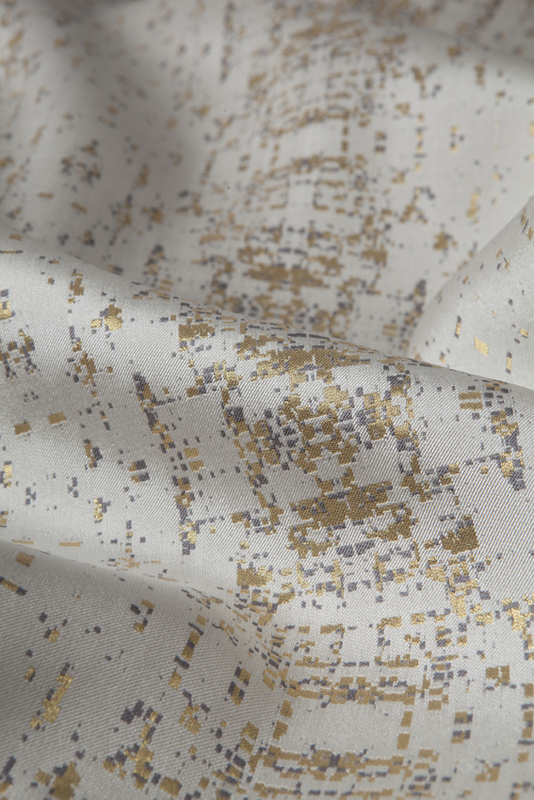 BeatWoven collection created using its bespoke trademark technology to translate Water Music, by the Georgian music composer to King George I, Handel. Commissioned for curated art collective Future Heritage, for Decorex International 2014. Curated by Corinne Julius. Water Music. Handel. Woven fabric fit for a palace. Commisioned by Future Heritage, Corinne Julius, for Decorex International 2014. In celebration of the 300th anniversary of King George I accession to the British throne. Woven silk and gold-coated pure silver metallic yarns.